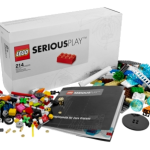 LEGO® Serious Play® is an innovative problem solving method for business and management environments. 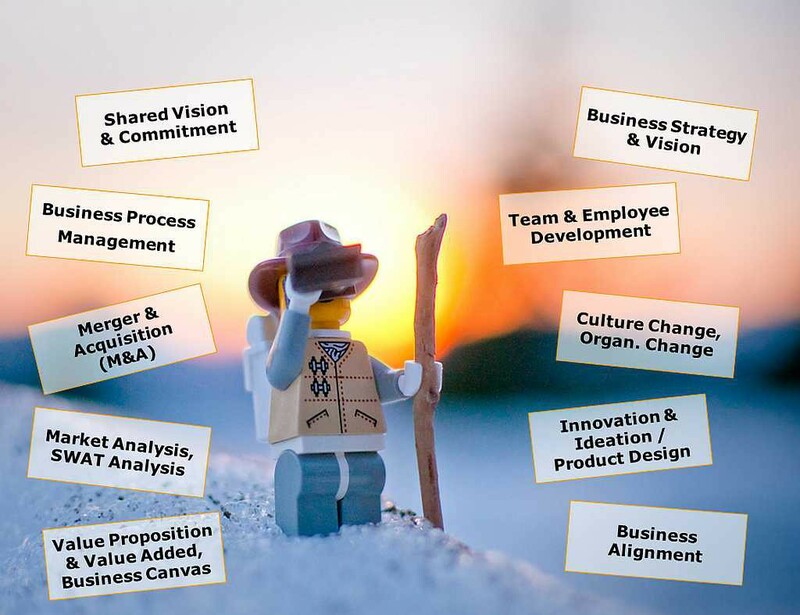 Within, you use LEGO® bricks in a series of structured exercises, guided by a facilitator, to construct objects that represent metaphorically your individual or business challenges. Your main benefit — Communication! Everyone in the room shares her story. Save Time & Money — Rent the material! 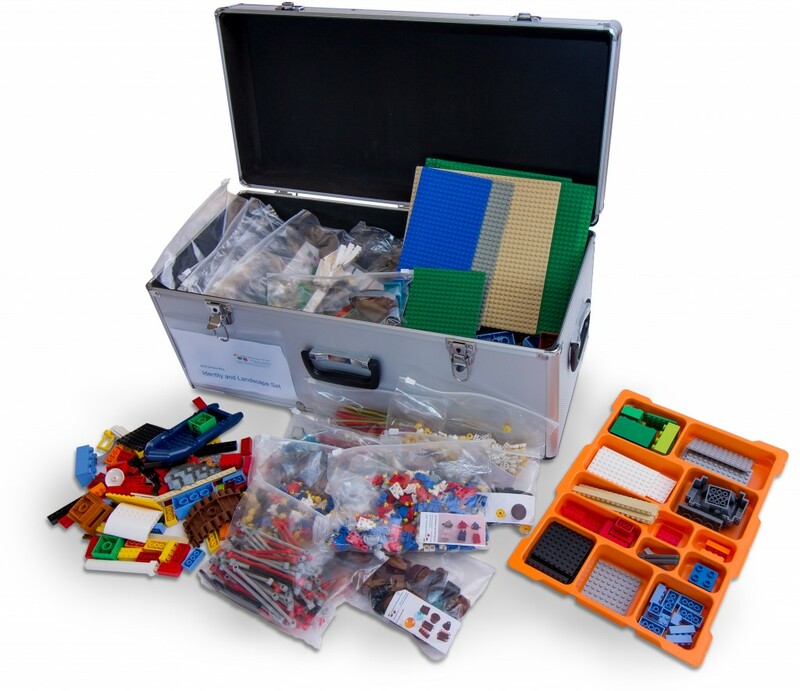 To run a LEGO® Serious Play® workshop successfully you need several purpose-built assorted LEGO® Serious Play® kits containing special LEGO® bricks, minifigures, objects, and connectors. This invest sums to more than € 3000.- easily. Save this money by leasing, renting, the material! After any workshop the material has to be sorted always. This takes several hours each! Free sorting is included! — You send the unsorted material back to us, we sort it for you! 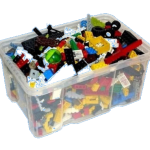 There is no need to invest (at least) €3000.- if you do not want to run LEGO® Serious Play® workshops on your site permantly. Just rent only the material you need for your workshop! Free two-way shipping inside Germany (to your site and back to us). We ship in stable metal cases with additional covering box — LEGO in contrast, packs them in card boxes only. 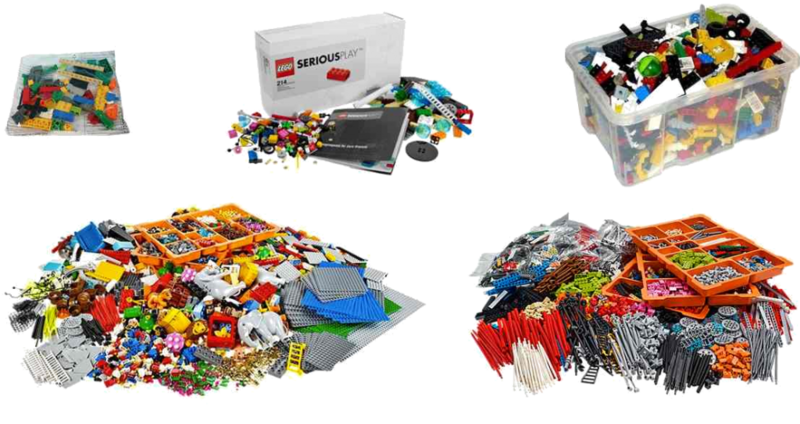 We ship presorted LEGO® Serious Play® kits on your choice in stable metal cases (67 x 31 x 32 cm). We will ship 1-2 days in advance to your planned workshop date. We ship to all addresses inside Germany — even to your workshop venue. 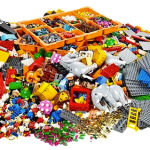 The LEGO® Serious Play® sets come cleaned, sanitised and sorted with additional sorting trays. 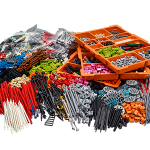 You return with a free voucher the unsorted LEGO® material the next workday without costs. We have all LEGO® Serious Play® sets on stock to take reservations, or to ship on short call. You can rent all our offerings on the mentioned daily rate — shipping days are free of charge. Excluded is the LEGO® Serious Play® Exploration Bag — which you only can buy. Purpose: Perfect for warm-up exercises and short trainings, where all participants have to have equal material. Each bag contains equally collected LEGO® bricks, one bag per participant needed. Shipping: Free one-way shipping inside Germany for lots>20. 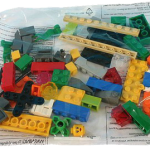 Purpose: Larger varity of LEGO® bricks than Exploration Bags. Each set contains equally collected LEGO® bricks, one set per participant needed. Comes with a small introduction booklet. Shipping: Free two-way shipping inside Germany for lots>20. Purpose: Perfect for groups of 8 participants to model and simulate group processes, brand identy, business strategy resp. visioning, and team building issues on different levels of abstraction. Shipping: Free two-way shipping inside Germany. Purpose: Perfect for groups of 8 participants to model and simulate communication channels, value stream, business processes, organisational relationships and dependencies. Purpose: Random set of standard LEGO® bricks to extend model’s decoration. Ask for individual collections of minifigures, DUPLO, and other objects. If you rent multiple sets of the same or of different types, it is up to you to mix the boxes’ content as it is appropriate to your individual workshop design. Indepent the mess you will create, we will clean it up for the same free sorting fee: €9.50 (Starter Kit), €150.00 (Landscape & Identity Kit, Connection Kit, Mix Bricks delivered on your demands.) — We charge you no additional costs! You plan workshops lasting several days? — Ask for discounts starting from your 2nd workshop day! You plan for a longer timeframe multiple workshops at differents sites? — Ask for an individual offer! You want to rent material on a frequent basis? — Ask for our partner program! 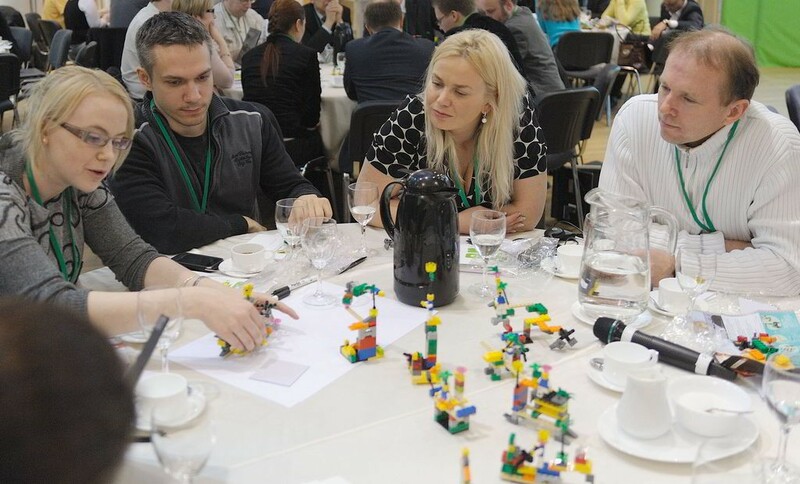 You plan to host or run a LEGO® Serious Play® workshop? I will be happy to support you! Certified LEGO® Serious Play® Facilitator, Innovation Games® facilitator, and Agile Coach (Scrum Master). 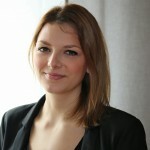 With more than 15 years experience in coaching IT-teams and LEGO® Serious Play® facilitation my passions are play@work and moderation techniques which set people in a playful mood for improvement. Improvement is like Playing — Do it with Fun! Ask without any obligations. We will be happy to help you. workshop? — Drop me a note! runyour workshop? — Drop me a note! supporting your workshop? — Drop me a note! I cooperate with several partner facilitators. — We will manage to solve your needs! Für einen Workshop mit 170 Teilnehmern haben wir das Material über Michael (plays-in-business.com) bezogen. Die eindrucksvollen Alukoffer mit der enormen Menge an Bausteinen erzeugen einen sehr professionellen Eindruck bei den Teilnehmer. Die pünktliche Lieferung, der einfache Versand und die gute Abstimmung mit Michael erzeugen ein gutes Gefühl bei den Moderatoren. Vielen Dank! Übrigens danke nochmal für die gute Beratung. Innerhalb von weniger als 24 Stunden konnte mir ein Identity & Landscape Set zur Verfügung gestellt werden. Zielgerichtete Beratung und die soziale Komponente des Services ist einfach toll! Ich kann die Beratung von Herrn Tarnowski nur hervorheben! Die ganze Welt von Lego und alle Vorteile seines Geschäfts wurden mir hervoragend erklärt. Herzlichen Dank für die telefonische Beratung zu unserem Workshop-Vorgehen. Auch wenn wir die Steine nicht von Michael bezogen haben, war die Beratung sehr hilfreich. Besten Dank. 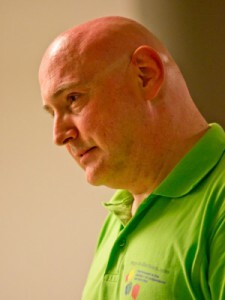 Einfach & Praktisch: Michael (plays-in-business.com, lsp4rent.com) hat sich um die Steine gekümmert; ich konnte mich auf meinen LSP Workshop konzentrieren. Michael (LSP4rent.com) did a great job shipping all the stuff to my destination. The material was very well sorted and prepared, thus I could run an awesome LSP workshop. – My client was very satisfied. – Thank you Michael. Give me a Kudo — Write a Testimonial! I organise and facilitate the Lego Serious Play Rhein-Main, Germany - Meetup Group. LSP facilitators and aficionados meet at co-working space heimathafen, D-65187 Wiesbaden, Germany. Drop over and join us when you are in Germany, Rhein-Main. Imprint • SERIOUS Play® is a registered brand of the LEGO Group. The website LSP4rent.com is in no way affiliated, supported, or authorisied by the LEGO Group.